City were camped in Watford's half for most of the first half and took the lead on 40 minutes as Leroy Sane chested home Riyad Mahrez's dangerous cross. Provider Mahrez then turned scorer in the second half, slotting past Foster with a controlled finish from Gabriel Jesus' cut-back (51), before Abdoulaye Doucoure made for a nervy ending with a messy late goal (85). But City held on, and the result means they remain unbeaten this season and five points above Liverpool, who play at Burnley on Wednesday night. Watford are down to 11th. Predictably, City dominated the ball from the off, and were nearly ahead on 11 minutes as Roberto Pereyra's sloppy square pass allowed Sane through on goal, only for Ben Foster to race out and save superbly. Foster came to Watford's rescue again as he closed down the gap on Mahrez six yards out after the Algerian was played through beautifully by Fernandinho, and Watford had a chance of their own at the other end as Troy Deeney was denied at point-blank range by Ederson's foot. City took just six minutes of the second half to get the two-goal cushion, as Sane and David Silva combined with Jesus on the left, before the Brazilian's cut-back into the box was tucked home 10 yards out by Mahrez, his sixth goal against Watford and fourth at Vicarage Road. City changed their entire back four as Pep Guardiola made six changes from the 3-1 win over Bournemouth. Walker, Kompany, Stones, Delph, David Silva and Mahrez were in, replacing Danilo, Otamendi, Laporte, Zinchenko, Gundogan and Sterling. Sergio Aguero did not travel with the City side. 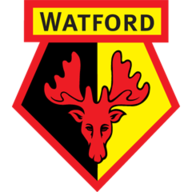 Watford made three changes from the 2-0 defeat at Leicester; Deulofeu, Mariappa and the suspended Capoue came out, replaced by Deeney, Kabasele and Chalobah. Mahrez's shot from just inside the box then hit Christian Kabasele's arm, but went unnoticed by referee Paul Tierney, while Jesus, in the side due to Sergio Aguero's absence, finished poorly inside the box from Mahrez's superb through ball. Man-of-the-match Mahrez was denied by Foster's fine one-handed save late on, but a rare Watford attack then resulted in a goal as Doucoure bundled over the line after seeing his first effort blocked by Kyle Walker. The 63th-minute introduction of Gerard Deulofeu had burst Watford into life, and they nearly grabbed a shock leveller as Deeney's header from a corner fell into the grateful arms of Ederson. Mahrez stood out in a dominant City performance, for 85 minutes at least, and looks to have firmly settled into Pep Guardiola's side. He made three key passes, more than any other City player, and had an eye for goal, pulling off five of City's 15 shots in total. Javi Gracia: "I am very proud of the effort of my players, because I know it is very hard to play against this team. I think my players today deserved recognition." Pep Guardiola: "We spoke right now in the locker room, we have to learn about what happened in the last 20, 25 minutes, that is the lesson. Never can you forget to play, until the last second. "Fifteen games, 13 victories, two draws, with one at Anfield, so I am not complaining. We are qualified for the Champions League last 16, so I don't have many regrets. What happened today in the last five minutes is the normal process, and to improve. To improve, you have to live these situations." Man City's goal difference of +38 is the is the best recorded by an English top-flight team after the first 15 games of a season since Sunderland in 1892-93 (+39). Manchester City have scored at least twice in their last nine games against Watford in all competitions, winning all nine by an aggregate score of 29-5. Watford have lost three in a row in the Premier League for the first time since December 2017 under Marco Silva (4 games). Manchester City have now gone unbeaten in each of their last 21 games in the Premier League (W18 D3), since a 2-3 defeat against Manchester United in April. Man City's Leroy Sane has scored five goals in his last five Premier League starts. 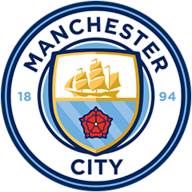 Manchester City now go to Stamford Bridge to face Chelsea on Saturday at 5.30pm, while Watford go to Everton on Monday Night Football, live on Sky Sports Premier League at 8pm.